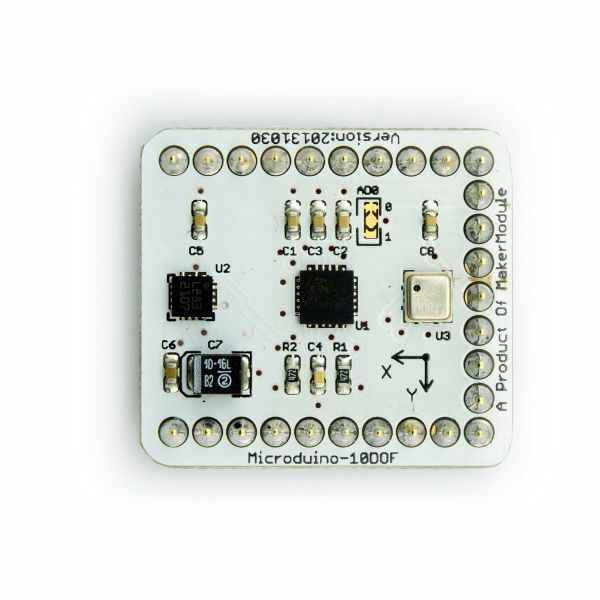 Microduino-10DOFintegrates four sensors including one sensor of 3-axis gyroscope and 3-axis accelerometer(MPU6050), one magnetic field strength sensor(HMC5883L) and a digital barometer sensor(BMP180). 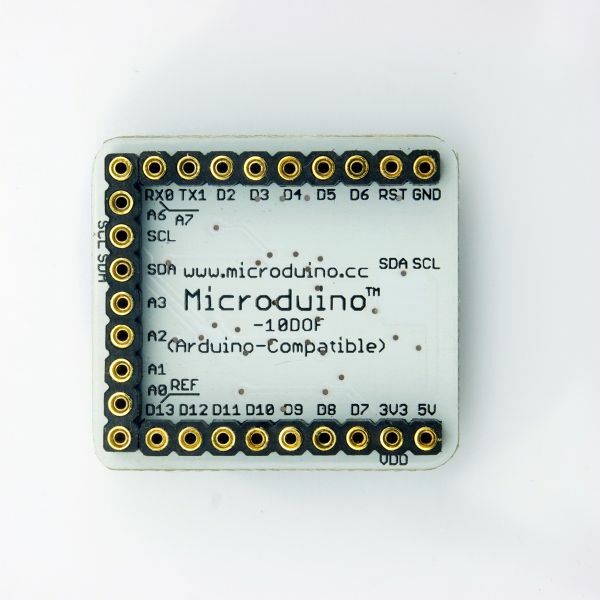 This module adopts I2C interface, widely used in automation control, such as aeromodelling,self-balancing car. A simple IIC serial bus interface. 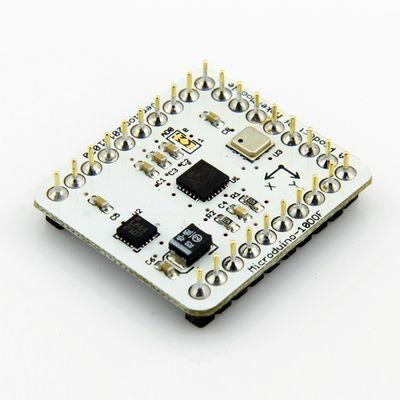 The control unit includes E2PROM and I2C interfaces. BMP180 transmits uncompensated temperature and pressure values. E2PROM stores 176bit individual standard data, which are used for compensation of temperature dependence and other sensor parameters. Gyro operational current: 5mA, gyroscope standby current: 5uA; accelerator operation current: 500uA, accelerator power saving mode current: 40uA @ 10Hz up to 400kHz fast mode of IIC. Turn on the PC. Take the Windows as example，Execution "MultiWiiConf.exe" in MultiWiiConf \ application.windows32 directory，select the corresponding serial port, then click "Start" to test module. 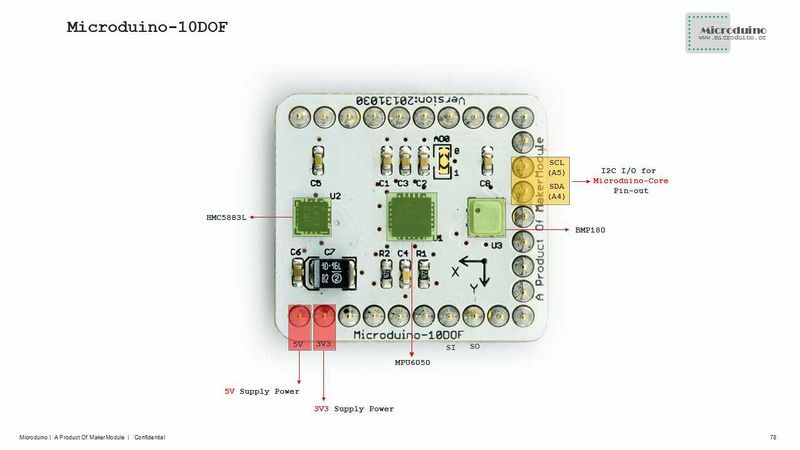 The last line is used to test MPU6050, tilt module,then you can observe the ball rolling toward the corresponding direction. How to run 10DOF test program in Mac? April 8,2013,@laoPanorz found SI pin doesn't connect to VDD in HMC5883l. Feb 28,2013, test release publish, no major issue. Feb 18,2013, the first official release layout. This page was last modified on 9 November 2016, at 22:57.